In today’s rumor rundown there is news out of Edmonton that defenseman Andrej Sekera is nearing a return and that means the Oilers need to clear some space for him. Our of Florida, there are rumors the team might be looking to trade a couple key forwards to make room for a couple big-name free agents and in Winnipeg, the Jets might be going after a surprising type of player. 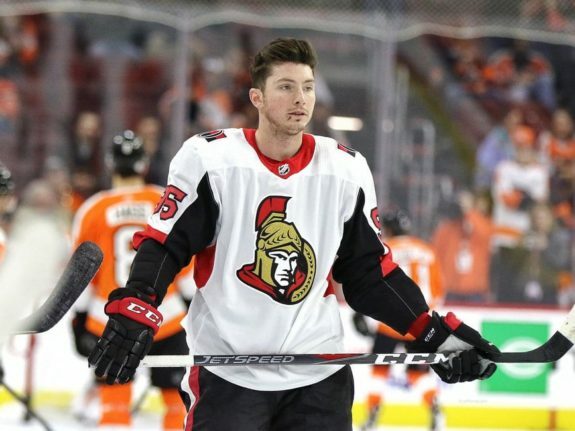 Finally, could a roundabout deal happen where Matt Duchene becomes a Blue Jackets forward and Panarin leaves Columbus? TSN’s Bob McKenzie reported that Andrej Sekera is nearing a return for the Edmonton Oilers and as he comes off of LTIR, the Oilers will need to move out some salary. In an effort to do so, they’ve been trying to trade defensemen Alex Petrovic and Brandon Manning, two players who they acquired earlier this season. 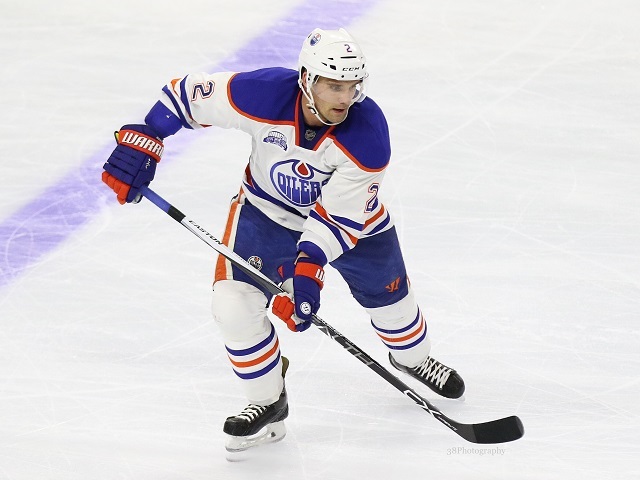 Edmonton Oilers defenseman Andrej Sekera is almost ready to make his return to the IO. McKenzie explains, “They need to move those guys out, or put them on waivers, if they are going to create the cap space for Sekera coming up next week.” Manning is the real trouble contract as he carries a $2.25 million contract for the rest of this season and next. Assuming the Oilers win at least two of the next three games on the road, their salary dumps will only be related to Sekera. If they don’t, they’ll be likely too far from the playoff picture to do anything useful and the team will be dumping far more in terms of salary than just Manning or Petrovic. 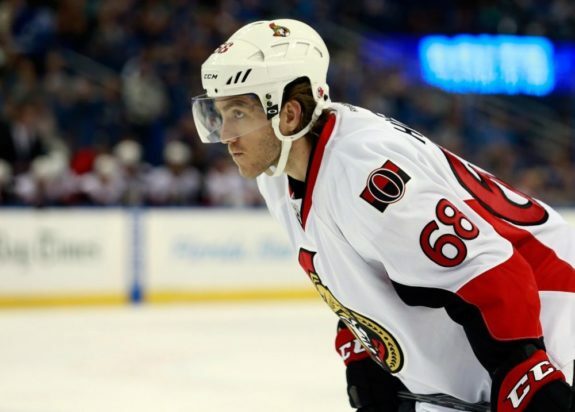 Elliotte Friedman was on Vancouver’s Sportsnet 650 recently and during a discussion about the Florida Panthers suggested that forward Mike Hoffman might be available as the Panthers try to dump more salary to make room for a run at Artemi Panarin and Sergei Bobrovsky. “I definitely think Hoffman is available,” indicated Friedman. “He’s a really talented guy. He’s got one more year at I think $5.5 million. I wouldn’t be surprised if somebody trades for him because you’re always looking for scoring. While Friedman couldn’t confirm, there are also whispers the Panthers might be entertaining the idea of moving Jonathan Huberdeau. Hoffman was picked up by the Panthers in a trade with the Senators before the season started and has 25 goals and 45 points in 55 games this season. He’s got one more season at a $5.187 million cap hit after this one. He also has a modified no-trade clause that allows him to pick 10 teams he can put on his no-go list. Could Blue Jackets Swap Duchene for Panarin? While it wouldn’t be the Columbus Blue Jackets and Ottawa Senators dealing directly with each other, there is some belief that the Blue Jackets are mulling over offers to move Artemi Panarin and with the return they get in a trade, flipping pieces over to Ottawa to acquire Matt Duchene. Key for the Blue Jackets in this deal is the belief is that it would take less to acquire Duchene than Panarin, thus the Blue Jackets would come out with additional assets. If not, Columbus would just hold onto Panarin, treating him as their own rental and trying to trade his rights at the NHL Draft. Most are expecting the Winnipeg Jets to go after a top-six center heading into the trade deadline, but TSN’s Darren Dreger reported in the latest Insider Trading (video link) that their top priority is actually acquiring an impact winger. Nikolaj Ehlers remains on the injured reserve list, Patrik Laine has struggled and Jack Roslovic is currently playing right wing but is a natural center. The trick for the Jets is that they need to take on an expiring contract thanks to the extensions they’ll have coming due for their own players. Vegas Golden Knights general manager George McPhee told David Schoen of the Las Vegas Review-Journal that his inclination is to not pursue rental players between now and the trade deadline. Instead, the feeling is the organization will look for depth upgrades versus trying to add another expensive player.